Bunch of New Dark Knight Photos from Wizard Con last Week. Hehehehe. Cool Joker pics and first pics of Batman in action. I Just found out from my source that these new Photo Set of Dark Knight have been pulled out by Warner Bros. And now it is possible that my gallery is the only one standing up with these photos. So before Warner Bros. finds out, you guys better save all the photos before it is too late. 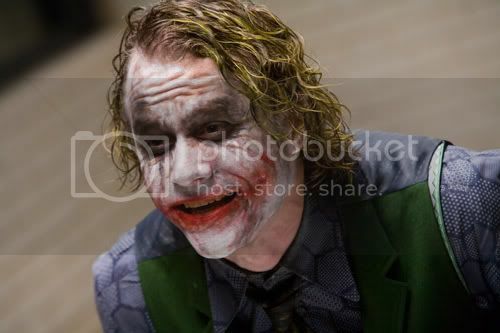 The Dark Knight New Photos -- Joker Unleashed!! !